Note : This event has been cancelled due to unavoidable circumstances. Event Description : MUSIC : Panjabi MC Live. 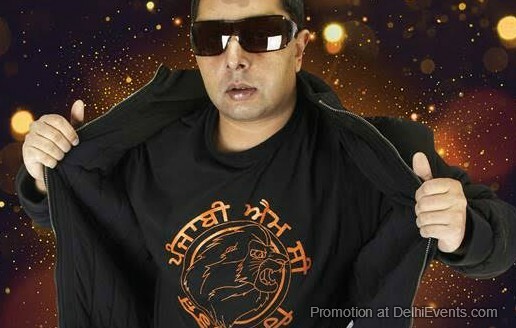 Bio: Panjabi MC is an International music producer and DJ born in the UK. He is well known worldwide as a pioneer in the global popularization of traditional Punjabi music merged with hip hop, R&B & dance. His most famous record ‘Mundian To Bach Ke’ charted Top Ten in most countries around the world reaching the number one spot in Italy and Belgium. With further more hit singles such as Jogi, Jatt Ho Giya Sharabee, Kori (Giddah) and Snake Charmer - Panjabi MC has grown to be one of the most sought-after music producers. Now having almost played to audiences in every country in the world, Panjabi MC is set to reach new peaks as he continues to entertain and inspire new generations with music for people of all colours & cultures worldwide.